Everyone knows that the cost of going to college has gone through the roof in the last 15 years. And it shows no signs of slowing down. ​In fact it is projected that by 2030, with a 5% yearly increase in college tuition, out-of-state college costs at a public university will come to around $71,373 while in-state at the same college will cost $41,228 for families. ​If we thought college is expensive now, the next decade for college education is proving to place more financial responsibility on families. So, what's the solution? We have discussed many ways of paying off your ﻿student loan debt and funding your college education. However, today I want to discuss something you might not have considered as a way to pay your way (or your child’s way) through college - crowdfunding. ​Just like any contract or agreement, you need to know what you are getting into if you decide to crowdfund your education. It is nice that total strangers will be willing to invest in your education over the internet, however, it is important for you to read the rules and conditions so you don’t violate any platform-specific guidelines - an action that could very well land a person in court. ​You also need to remember that you will be required to pay taxes on the money you raise via a crowdfunding campaign as well as (typically) pay a percentage of your donations to the crowdfunding platform, whether or not you meet your goals in the campaign. ​You will have to convince people that you are worth investing in. This means creating a killer campaign. There are hundreds, maybe even thousands, of crowdfunding campaigns that never get seen and never get funded. It is important that you write a campaign that catches the eyes of potential funders. ​Here are 5 tips to help you create crowdfunding campaigns that attract attention and get funded. Define A Clear Purpose For Your Campaign: How much money do you need? What will the money go toward? When you finish your degree what will that mean for you, your family or society? What’s in it for the people who will fund your campaign? Defining a clear purpose for why you need the money and why ﻿﻿completing ﻿﻿your co﻿﻿llege de﻿﻿gree is so important will help guide you in using the right words that trigger action in your campaign. Think About Your Unique Story: A hallmark of successful crowdfunding campaigns is a unique story. What about you would move someone to donate to your cause? Are you a straight A student who has found themselves in a difficult financial situation? Are you a mom of 3 who really would like to go back and get the degree you put on hold to raise your children? Think of your unique story and incorporate that as you write or create the video for your campaign. Use Video To Convey Your Message: Video conveys emotion, facial expressions, intonations and even personality traits. Written pieces don’t always capture all of these things. If you can get in front of a camera lens and briefly explain why you need the money and how the investment will serve not just you but other people around you, you are more likely to meet your funding goals. Use Social Proof: Social studies have shown that people will do things just because they see other people doing it. When people see that more than one person has already donated to your campaign they are more likely to donate as well. To successfully raise money via crowdfunding, it is important to have this kind of social proof. You might want to reach out to some relatives, friends (even friends of friends because you could ask your personal network to share this with their own network) prior to having your campaign go live so that right out of the gate you will have donors. Be Grateful: People are taking time out of their day to pay attention to you. Make sure you communicate in your campaign that you are absolutely grateful for every person who spreads the one about your campaigns or donates. 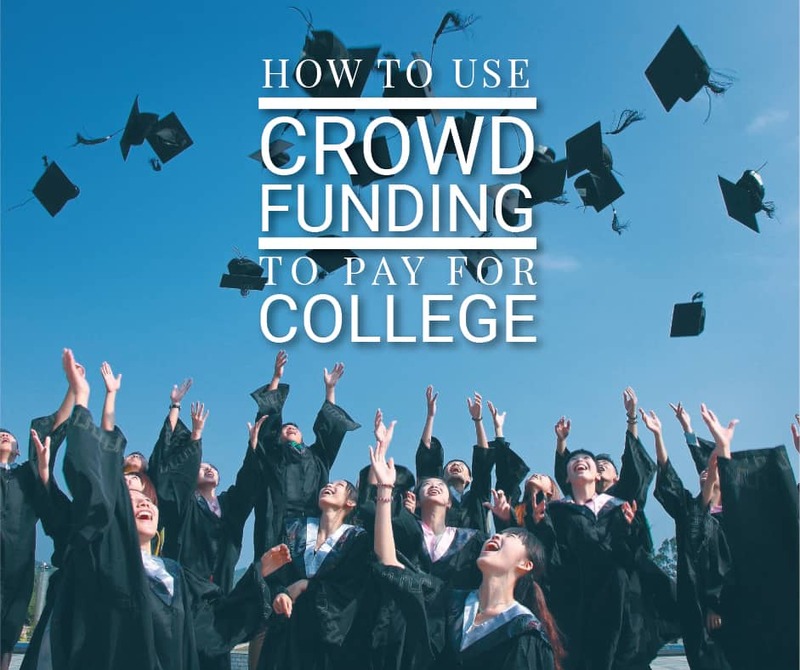 ​So where can you go to find crowdfunding to pay for college? If you live in the United States, you can use any of the following platforms. Create an account, read their instructions, terms and conditions, and get started. DreamFund: DreamFund charges 2.5% for their Premium Members and 5% for basic members to crowdfund on their platform. They charge a standard 2.9% +$0.30 for payment processing. Check out DreamFund here. GoFundMe: Setting up a GoFundMe campaign is easy and can be done in minutes. They deduct a 5% fee from each donation that you receive . Since their fees are deducted automatically, you don’t need to worry about being billed after your campaign is over. There is also a 3% processing fee that will be deducted from each donation. It takes 5-7 business days after your campaign is over to receive the donations made to your campaign. Check out GoFundMe here. Indiegogo: Indiegogo is famous for funding entrepreneurial endeavors but you could use them to fund your education as well. Their set up is very similar to GoFundMe. Che﻿﻿ck out Indie﻿﻿gogo here. PlumFund: On Plumfund there is no “platform fee” to give or receive payments. Since they use Paypal and WePay to process payments, any deduction made goes towards processing fees. Check out PlumFund here. YouCaring: If you are looking for free platforms, Youcaring.com is another place to look. Check out YouCaring here. ​Occasionally, there are stories of people who misuse the funds they received via a crowdfunding campaign. This should not be you. Once the funds are paid to you by the crowdfunding platform you used, make it a point to ONLY apply the money towards tuition costs and the cost of living as you pursue your degree. Even better, share your progress and results with your backers. If people invested in you, they would love to know how you are doing! ​We started this article by urging you to make sure you know what you are getting into when you choose a particular platform. Once you have successfully gotten people to donate to your cause, make sure to keep your end of the contract/agreement and fulfill all platform-specific requirements PLUS any promises you made in your campaign. Yes, ​you can ask complete strangers to help you go to college. 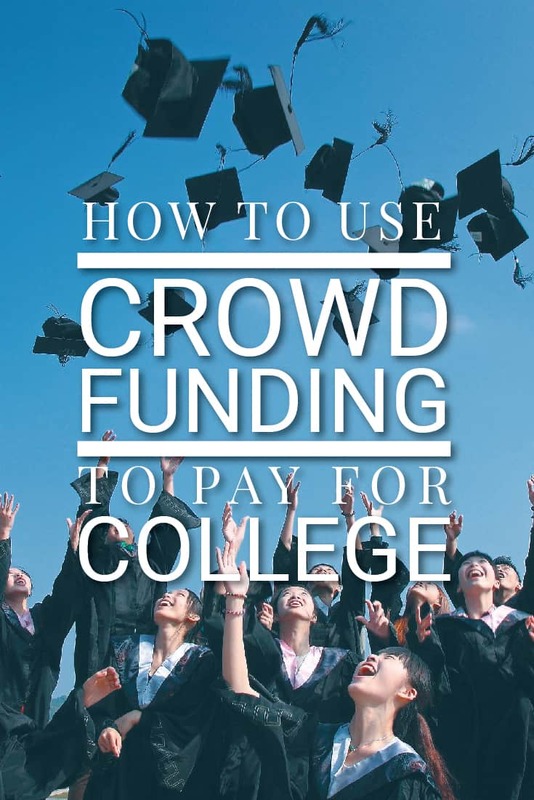 And these crowdfunding platforms can help you crowdfund your way to a college education. But for many people, this should be a last resort. Make sure that you look for scholarships, grants, and other financial aid first. ​The tips we just shared should provide you with a strong foundation should you decide to go this route and secure crowfunding to pay for college. Let us know if the comments if you've gone this route to pay for college! Great idea. It’s clever smart and attacks the problem head on. It strikes a blow against student loan debt at the same time. It’s a potentially great way, but not everyone will have success doing it. But you’re absolutely right – any little bit you can raise helps prevent that much more student loan debt. I don’t know if I’m all in on crowdfunding to pay for college, but at least it’s an option for some. It’s still nice to know all of the possible options vs. opting for a ton of debt! It definitely won’t be for everyone, but there are likely a few who can benefit. Plus, any amount you can raise is money you don’t potentially have to borrow. Crowdfunding is definitely an interesting way to raise money for your college tuition, although I am not sure if I would do it. It seems like it would be very hit or miss on if you got funded, which can be difficult for some people. But nonetheless, still an option to look into! I am not going to bank on total strangers crowdfunding my education. So far I have already tried it, but it appears to be a total flop. The only people who have contributed to my GradPath (Thrivent Student Resources) campaign are those who I have already known.